After the MMT preview dropped, the John Lennon piece was unlikely to be far behind so may we present – The trailer. A collection of unseen footage, additional videos and reconstructions, this footage is another incredible find for the collector and will be as intriguing as the first set. 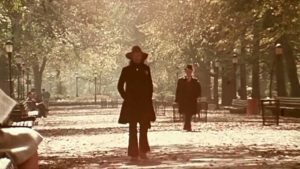 Featuring previously unpublished film of John’s day out through central park, more contemporaneous versions of his music videos, rate TV footage and a 45 minute reconstruction of John Lennon and Francois Vallee’s video interview ‘Once Upon A Time There Was John Lennon’ (‘Un Jour Futur’) – the oft bootlegged source for John’s rendition of “Lady Marmalade”.